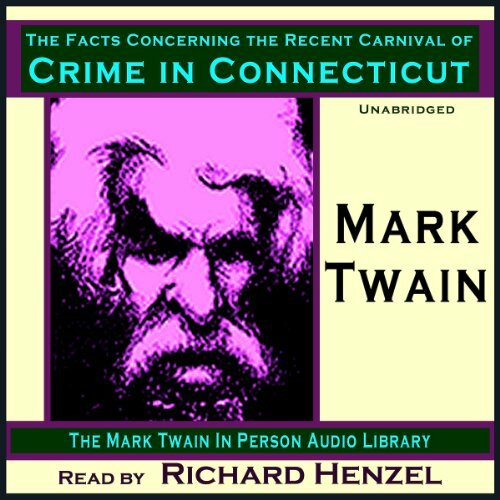 In this unabridged recording of one of Mark Twain's lesser-known short stories, the "campaign of crime" referred to was a rash of robberies, arson, racketeering, and murders in Connecticut, where the author was living at that time. Alternatively funny, disturbing, and self-revelatory, an abridged performance of this piece has been part of Richard Henzel's Jefferson Award nominated stage show Mark Twain In Person since 1979, and was later broadcast on public television in a special produced by WTTW-TV in Chicago, winning the Chicago Emmy for Original Adaptation. Narrator Richard Henzel has been performing and interpreting Mark Twain since 1967, and has narrated more than a score of Mark Twain titles for The Mark Twain In Person Audiobook Library.